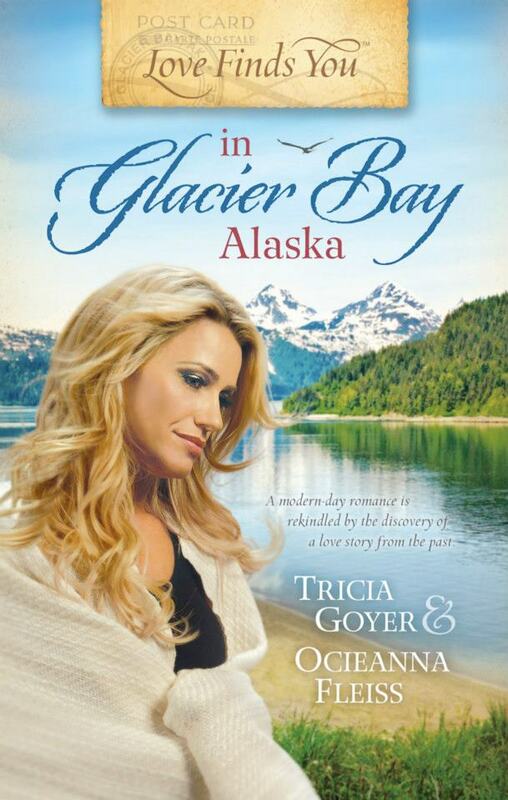 Love Finds You in Glacier Bay by Tricia Goyer and Ocieanna Fleiss is a parallel love story of contemporary Ginny Marshall and Ellie a young woman living in the 1920’s. Ginny is a singer/songwriter who is just about to cross over the line to become a top performer with a lucrative recording contract. She is also dating a celebrity music producer. But rather than feeling excited about her prospects, Ginny feels lonely and at loose ends. Her thoughts keep returning to Brett, her former fiancé. Ginny had called the engagement off but on the verge of “making it big” in the music business she finally decides she must see Brett again. Against the wishes of her producer, Ginny flies up to rural Glacier Bay, Alaska. She stays with Brett’s grandmother who gives her a file box of old letters to read. They tell the story of Ellie, a young woman from California who goes up to Alaska in the earlier 20th century to be a governess for a widowed missionary’s children. Ellie falls in love with the missionary and the letters relate the challenges Ellie faces. As the two stories unfold, there is an obvious connection between Ginny and Ellie. As Ginny relates to Ellie and enjoys the beautiful wilderness of Glacier Bay she begins to put her painful past behind her and asks God to lead and direct her. She is able to make decisions that free her from the shallowness and insecurities of her life. I received this book from the publisher in return for a review. All opinions are my own. Singer Ginny Marshall is one signature away from the recording contract of her dreams-a deal that would guarantee success for the former foster child, who still struggles to bury the memories of her painful childhood. But Ginny needs advice from the one person who will look out for her best interests-her former fiancé, Brett Miller. She travels to the remote town of Glacier Bay, Alaska, where the town's colorful characters and stunning scenery provide respite from LA's pressures. In Glacier Bay, Ginny discovers a box of old letters and is swept up in the love story between Clay, an early missionary to Alaska Territory, and Ellie, the woman who traveled there to be his children's governess. When Ginny is reunited with Brett in Glacier Bay, will she discover-as Ellie did-that healing and love are sometimes found in the most unexpected places? Tricia Goyer is the award winning author of over thirty books including Beside Still Waters, Remembering You, and the mommy memoir, Blue Like Play Dough. Tricia is a regular speaker at conventions and conferences and is the host of Living Inspired. She and her family make their home in Little Rock, Arkansas where they are part of the ministry of FamilyLife. Find out more about Tricia at http://triciagoyer.com. Ocieanna Fleiss is a published author and editor. She lives with her husband and their four children in the Seattle area. Find out more about Ocieanna at http://ocieanna.com/. Celebrate with Tricia and Ocieanna by entering their "Glacier Bay" Giveaway and RSVPing for their Facebook Party on Feb. 12th! Enter today by clicking one of the icons below. But hurry, the giveaway ends on February 11th. Winner will be announced at the "Glacier Bay" Author Chat Party on February 12th. 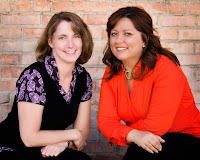 Connect with authors Tricia and Ocieanna, get a sneak peek of their new book projects, try your hand at the Alaska trivia contest, and chat with readers just like you. There will also be great giveaways—gift certificates, books, and more! Don't miss a moment of the fun, RSVP today. Tell your friends via FACEBOOK or TWITTER and increase your chances of winning. Hope to see you on the 12th!